﻿﻿Obviously it's a play on words, in reverence to the 1983 YAZOO track 'Nobody's Diary'. 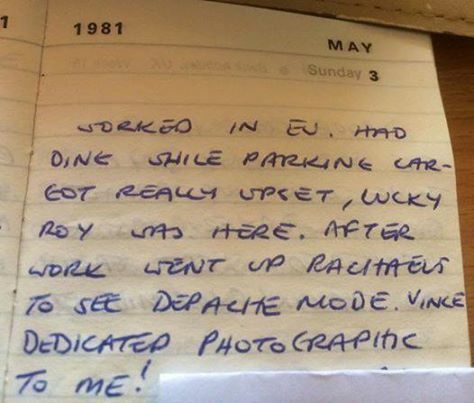 I am not a 'somebody', I just happened to keep diaries that document certain events on certain dates regarding DEPECHE MODE and Yazoo amongst others and I was lucky to be included in that part of electronic musical history. A diary isn't written like an article, it documents comments written off the top of your head, but consigning to history your thoughts and actions on that day..... and what amazing days they were! The band were starting to get interest from music magazines. so parents weren't so property mindful) and we'd often spend a night in various pubs nursing one or two beers but happy to just be with mates. The best pub at the time was "The Highway". It played an eclectic mix of music and all sorts of groups would go in there, mods, skinheads, new romantics and even some of the local 'hard nuts'. Crocs/Pink Toothbrush is about ten miles away from Basildon in another town. So what topic to have as a theme for the first blog? 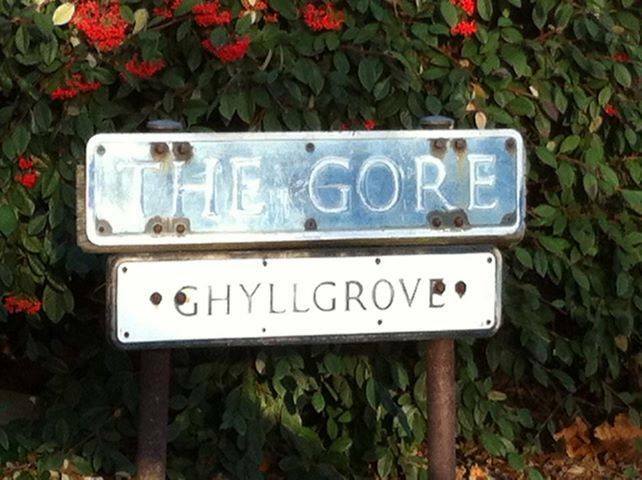 ﻿﻿It has to be the town where I grew up, still live and where one of the biggest bands in the world grew up. It's been two years since I started giving " Depeche Mode In the Beginning Private Tours (of Basildon) - 1981" I thought a blog would be a good vehicle to elaborate on the tour and provide some background and answers to the questions I get asked most frequently. The timing was perfect. My life had been being a full time mum but my children were now in school so I had some time to myself. 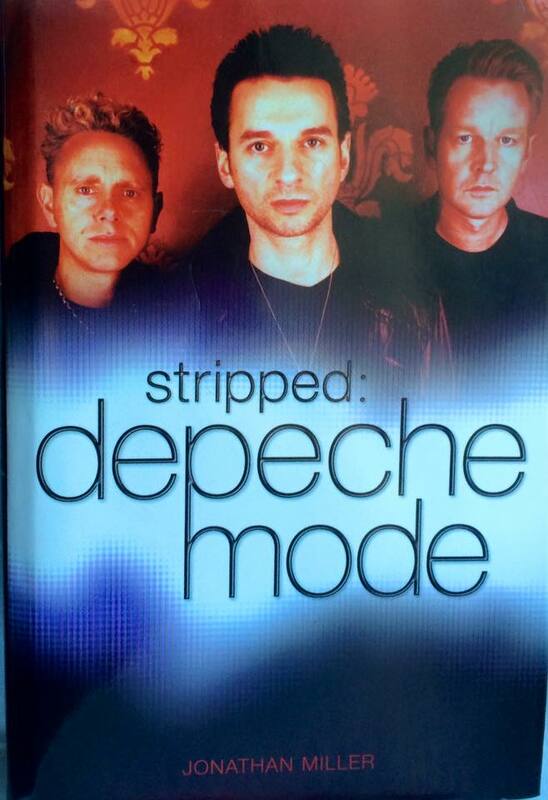 The author Jonathan Miller was writing the DM book ' STRIPPED '. I wasn't on facebook at the time and my friend Ashley contacted me saying Jonathan was looking for me in particular. We chatted a lot on the phone and then he came to my home to talk in more detail about Basildon, DM's early days and to select photographs from my private collection for the publication. 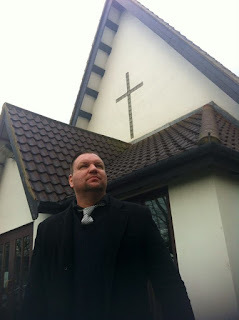 I then offered to give him a tour of the relevant places - so without realising it, this would be my first Private Tour! The plus side of getting in touch with Jonathan was that it made me get up in the loft and rediscover all the memorabilia I'd had kept for years relating to DM, Yazoo and THE ASSEMBLY - for which future blogs are planned. I was amazed by what I had up there, all long forgotten but very appreciated! Lovingly taken back in time. Sadly not all the emotional floodgates were welcome. The downside was that it brought back memories of my mother's death, as losing my wonderful mum to a brain tumour happened at exactly the same time as the beginning of a relationship with VINCE CLARKE. The overwhelming grief was severe and shocking in it's resurgence. The next few months were probably the most exciting times of my life but ironically the very worst too. 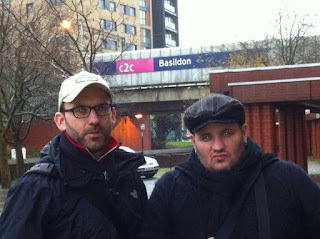 Dennis and Sascha outside Basildon Railway station. I then gave tours to Dennis Burmeister and Sascha Lange who were compiling the brilliant and comprehensive 'MONUMENT' DM book at the time and others who were recommended to me, like the wonderful Harpist MICHAL MATEJCIK. He was in London performing with 'George Michael' on his world tour. Michal is such a lovely man, a huge DM fan and he performs DM covers. MARTIN GORE requested he play as support to DM at an event at the start of the Delta Machine tour in Vienna in March 2013. 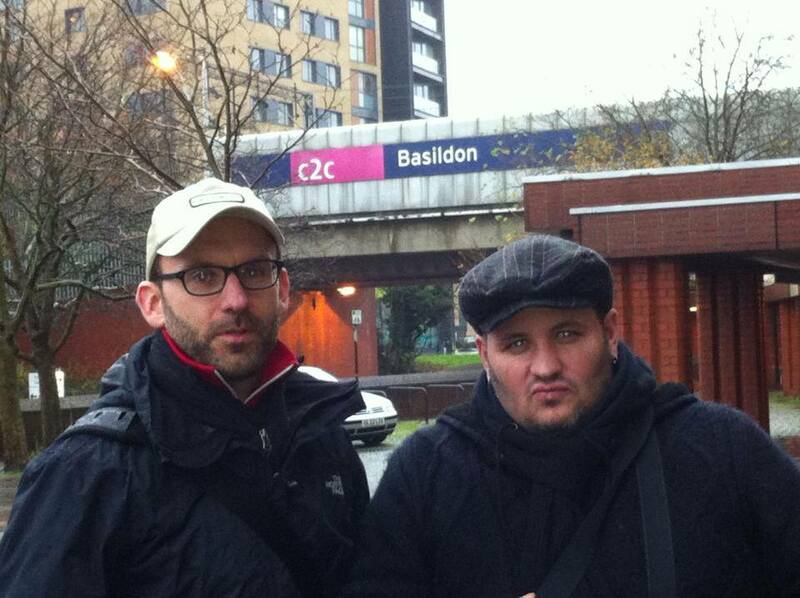 What is the population of Basildon? It's only non UK tour takers who ask this question and it's always one of the first to be asked - it's not something we Brits are particularly interested in. Basildon is growing daily, new housing being built all the time, but sadly taking all the lovely green areas that I remember so vividly from my childhood. 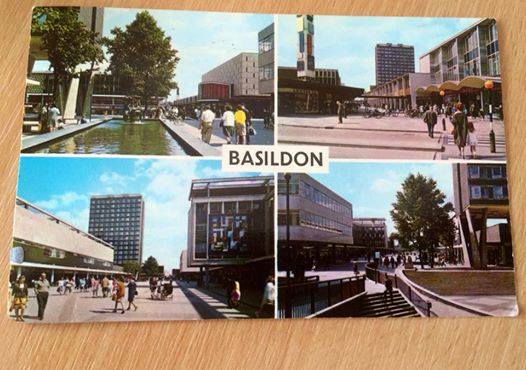 I've lived in Basildon since I was born. The town centre didn't exist then and it was a brilliant place to grow up in, so clean and modern. My parents came from Dagenham (East end of London) like so many for employment and new housing. My generation didn't realise how lucky we were then to have brand new schools and so much freedom. 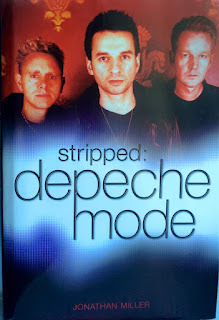 The DM book ' JUST CAN'T GET ENOUGH' by Simon Spence explains in more detail and is a great read. To answer the question however I can only get official figures from the census of 2001 quoting 166,000 but that's 15 years ago of course. Do you know DM personally and why do you take the tours? I am amazed when I find out that some people book a tour not realising I have the history to back it up. 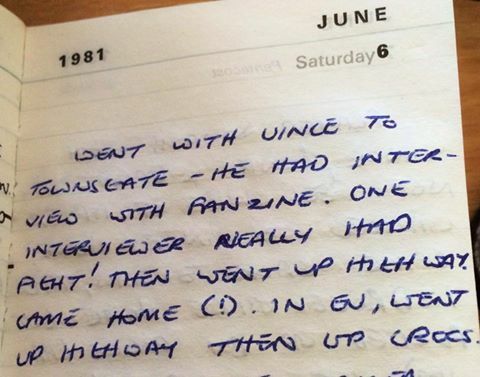 I was Vince's girlfriend from 1981 for four years and so I ran the first 'DM Information Service' with Jo Fox and Anne Swindell, who were Dave's and Martin's girlfriends at the time. I then ran the Yazoo Fan Club and answered letters about The Assembly, for the short time Vince and ERIC RADCLIFFE (Owner of Blackwing Studios and Producer on many of MUTE's early recordings) worked on the project. It was incredulous to me that so many of the original buildings in the history are still standing over 35 years later, the only casualties are ANDREW FLETCHER's primary school and Vince's senior school, both have succumbed to new housing. All the other primary and senior schools are still there, albeit with new names for the most part. How many points of interest are there and how long does a Tour take? There are over 20 places to see. A personal favourite is the hall where my friend Nikki and I held a party - any excuse for a bash in those days and this was a little farewell as I was going to work at a Butlins holiday camp for the summer. The pre DM three piece 'COMPOSITION OF SOUND' played. Dave hadn't joined the band at this point. I still have a ticket for the party, designed by Nik and the only one still in existence. 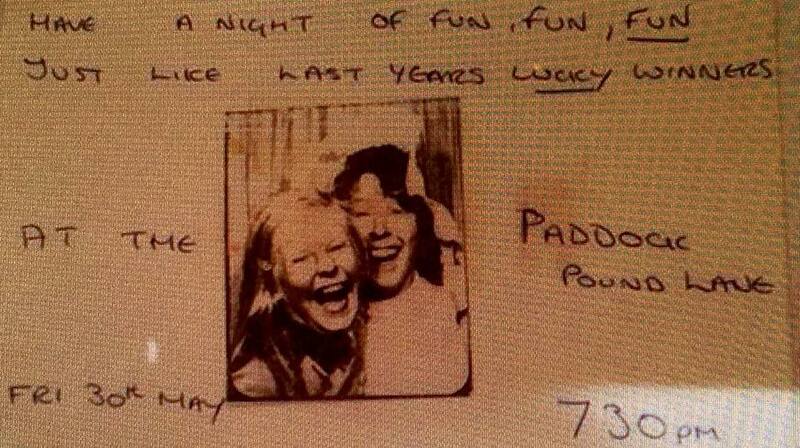 It is precious to me as it features a photo of my mum and sister. I also kept a review of the performance that was written in a local fanzine in 1980 by my brother. Sadly I don't have any photos of the live COS performance, and as far as I'm aware none were ever taken by the party goers, there was a leak at the hall and I was sorting it out! These and other precious pieces like handwritten lyrics to 'Dreaming of Me ' by DAVE GAHAN can be viewed in full on a tour. where pre DM 'Composition of Sound' played live. There is the flat where ALISON MOYET came to demo Yazoo's debut hit 'Only You' with Vince after he announced his departure from DM and the pub where Martin Gore played guitar on a tiny stage in a local pub with a previous band. Even the petrol station where Dave earned some cash while he was in College and the newsagent where Andy and Steve collected their newspapers on their bikes to get some pin money are pointed out on a tour. A nice dedication from Vince. their debut single 'Dreaming of Me' and the band were getting music press interest. Yazoo also played live there for two nights on the duo's only tour in 1982. The building is still there but is sadly a dilapidated snooker hall now. 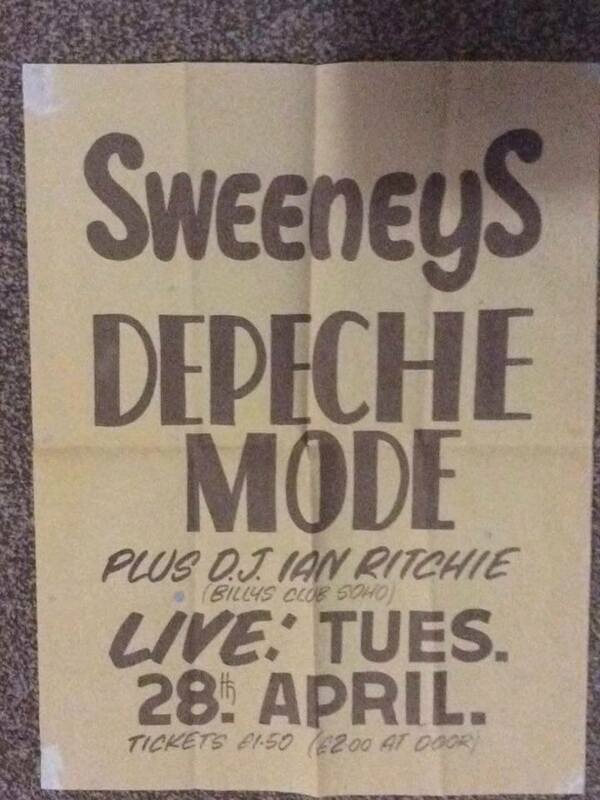 'Sweeneys' was the other main club situated in Basildon Town Centre and the first to host a gig for DM. A lot smaller than Raquels, but it was much more intimate. It was a downstairs disco and a favourite of the soul and disco crowd. It was situated right next door to The Highway pub. It's long gone and is now home to a Solicitors. The 'Towngate' bar as mentioned previously was a much more subdued drinking hole preferred by Martin, Andy and Vince in the early days. The building was later knocked down to make way for development and the new Towngate Theatre was built to replace it. I remember being in there for Vince's 21st birthday drink up and then holding a surprise party for him at my parents house. Can still visualise the band and friends all jumping up from behind the furniture when we came in the room! I am very conscious that the people who now live in homes previously occupied by the band growing up are not pestered in any way. One household told me that fans had actually knocked on the door one Christmas Day! There was one instance where a very lucky fan and I were outside Andy's family home and the home owner came along just at that moment. She kindly invited us into the house as her husband was decorating and having stripped the wallpaper had found Andy's dads initials and a date in the late 1970's on the wall! This was a common custom back then. What timing indeed and we were so very lucky to see that before the new wallpaper went up. It also brings a smile to my face when I remember that my husband and I actually went to look at Martin Gore's house when his parents were selling up and moving on. My father-in-law worked with Martin's dad and so gave us an early viewing. We eventually chose another property as the parking was better. One of the points fans mention is that they are surprised how close Martin, Andy and Vince lived to each other. Short walking distance and in Vince and Martin's case - literally a stone's throw away from each other! name of Depeche Mode and Dave's debut. I get nice surprises too. 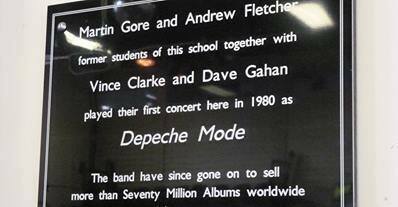 Recently giving a tour on a weekend it was possible to go into the school hall where DM played on the stage in 1980. There is a plaque on the wall, sadly the only one in Basildon that commemorates anything DM. A dance class was booked in so I asked the lady in charge if we could pop into the hall. 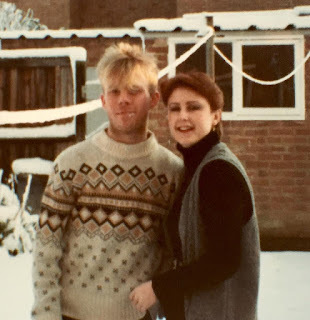 After explaining the reason to her she said that she had known a girl that had been a girlfriend of Vince Clarke in the early 80's as she had been a neighbour to her family briefly at that time. Of course it was me she was referring to! 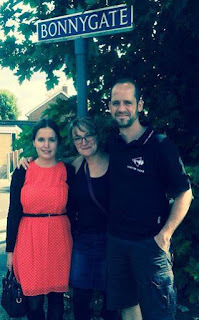 This school was attended by Martin, Andy, Alison and the Bamonte brothers. 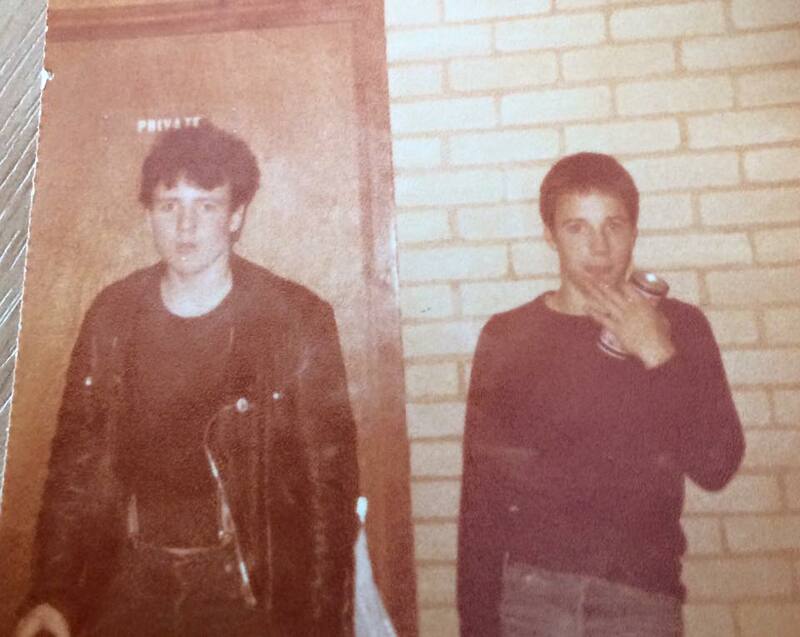 PERRY BAMONTE was a member of THE CURE at one point and DARYL BAMONTE was DM's roadie, then a manager and of course played live when Andy was taken ill. Daryl was not however a member of SILICONE TEENS as some people tend to assume! Dave was from a different area of Basildon to the others and he and I went to the same school, although my attendance record was a lot better than his! We went to a lot of the same pubs, clubs and parties - party people who went to gigs, very much into music and fashion. 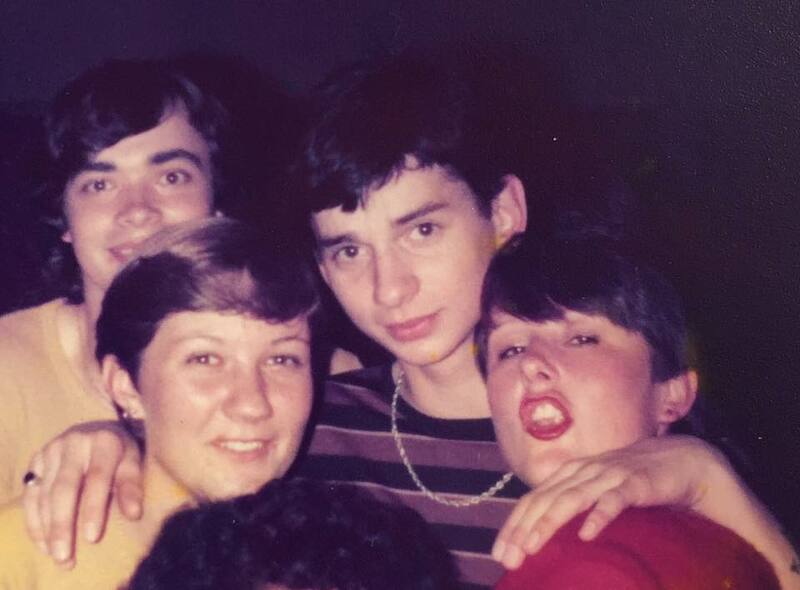 Dave was a proper lad with the lads but my memory of him at that time was of a shy, sensitive boy. I really loved Dave but those were the days when girls didn't ask boys out so I was more than happy just to be mates. I remember we were having coffee in my kitchen and he said Vince had asked him to be the front man in his band.... I said to go for it. Coming clean now Dave and admitting.... 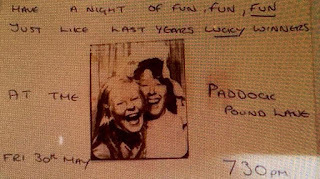 I was the one that sent that secret valentines card in 1980! Basildon. The church and especially the 'Fellowship' were a very important part of their lives at that time. Vince had come away from religion when we started dating so I was never a part of that particular circle and it's not one that I would have entertained either. It's here I have to thank Andy's lifelong friend Steve Burton for filling in the blanks for me. There are two churches that are significant, one for being where they used to meet for prayer and singing together with friends. Anne was an integral part of the group and she introduced them to the other church which her parents were involved in. It was booked for band practise - making the most of the excellent acoustics the building afforded. A tour is usually three hours and I usually pick people up from Basildon railway station (approx. 35 minutes from London Fenchurch Station ) or they can park outside my house and we go from there. It's mainly driving around stopping for photographs and there is a bit of walking too as some parts of the tour are pedestrian only. The family homes of Anne and myself where the fledgling 'DM Information Service' was organised, Jo was based in Billericay, an adjoining town to Basildon. ﻿﻿﻿﻿I also include an opportunity to see some of my various memorabilia collections consisting of personal and rare professional photographs, backstage passes, music magazines, the original DM and Yazoo fan club letters from the early 1980's. This is at least another half hour but usually a lot longer with a coffee included. I'm proud that my tours are an individual experience. No tour is the same as people ask me all sorts of different questions and some of the buildings are accessible only on certain days. I do urge people who are contemplating booking a tour to not dither - I generally book tours to fit in with people visiting London. Life is unpredictable, I'm getting older by the day and you never know when the chance could be gone! email DMpersonaltour@gmail.com for prices and booking arrangements. I am also looking forward to participate in a Q & A session at the DM fan event in Berlin on May 13th - 16th. http://www.dmtreffen.de/ for tickets and details of the activities taking place. Here are the links to my various facebook pages.